"The discussions between the United States and North Korea are ongoing and have moved more quickly than expected," a statement said. 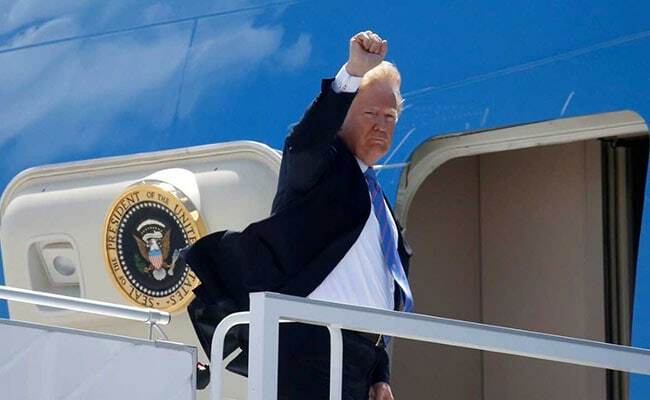 Singapore: President Donald Trump will leave Singapore on Tuesday evening after his summit with North Korean leader Kim Jong-Un since preparatory talks have moved "more quickly than expected", the White House said. It said Trump would leave at 8:00pm local time Tuesday for the United States, a day earlier than expected, allowing around 11 hours for the unprecedented tete-a-tete. "President Donald J. Trump will meet with North Korean leader Kim Jong Un tomorrow morning at 9:00am," it added. "Following the initial greeting, President Trump and Chairman Kim will participate in a one-on-one meeting, with translators only, an expanded bilateral meeting, and a working lunch."